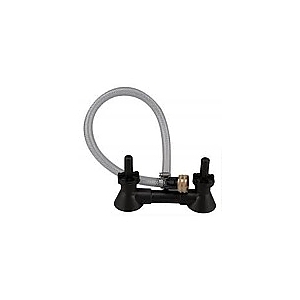 The Double Blast Bottle Washer quickly connects fitting for laundry tub faucets. It is an automatic operation: press to rinse and life to stop. This cleans bottles and carboys.